According to an editorial in the Plattsburgh Press Republican this week, Fort Montgomery &#8211 not the Hudson River American Revolution fort, but the Lake Champlain (mostly) American Civil War one in Rouses Point &#8211 is in ruins, the victim of nothing less then neglect. In April 1980, a huge portion of the northwest bastion collapsed into the moat, and cracks in the rest of the structure have raised concerns that a similar fate awaits the rest of the fort. And there are other obstacles. Liability is an acute concern, as the unstable structure has long been used as a party spot for teens. Also, the location is surrounded by environmentally sensitive wetlands. But the potential as a historic landmark and tourist destination &#8212- accessible by car, bus or boat &#8212- is undeniable. In fact, it can be seen by the preservation of a similar landmark, Fort Lennox, just a 20-minute drive upriver in Isle aux Noir, Quebec. Named for Revolutionary War hero General Richard Montgomery who was killed at Quebec City during the 1775 invasion of Canada, construction began on Fort Montgomery two years later in 1844. Fort Montgomery was one of a very few &#8220Permanent&#8221 or &#8220Third System&#8221 forts built along the Northern Frontier, most being constructed along the Atlantic Coast. Work on the fort remained almost continuous through 1870, with the peak of construction taking a frenzied pace during the American Civil War, amidst rumors of possible British intervention against the Union from Canada. These fears were actually proven to be not that far fetched when the Confederate led St. Albans Raid, the northernmost action of the Civil War, took place in nearby Vermont in 1864 involving an incursion by the enemy from Canada. In 1926 the United States Government sold Fort Montgomery along with its adjacent Military Reservation at public auction. During the period of disuse which followed, as had also happened with the abandoned 1816 fortification, many locals visited the fort, carting off untold amounts of lumber, bricks, windows, and doors for use in their homes and other buildings. Ultimately the majority of the fort, aside from the gutted westward facing officer’s quarters, a small portion of the southern wall and 3 bastions, (2 of which remain today) was demolished in 1936-1937. Its massive stones were crushed and dumped into the lake for fill to construct a nearby bridge between Rouses Point, New York and Alburg, Vermont. After a number of private owners, the property was sold to Victor Podd, Sr. who constructed the headquarters of the Powertex Corporation on the adjacent &#8220Commons&#8221 to the west of the fort. Island Point, the actual fort site, was left untouched. 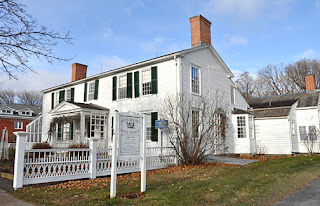 During the mid-1980s Podd worked with local historical societies to have the State of New York purchase the property with a view toward possible restoration of the site. Despite being offered the fort at no cost, negotiations were unsuccessful and the State declined to accept the property. Since May 2006 Podds’ heirs have attempted to sell the fort on eBay. The first auction ended on June 5, 2006, with a winning bid of $5,000,310. However, the sale was not completed, and the fort and lands surrounding it remain for sale. There are current concerns among local preservationists that what remains of the fort today is in danger of a catastrophic structural collapse. This is in part due to the removal of iron reinforcing rods, emplaced around 1886, which were likely cut out for their scrap value during the wartime scrap metal drives of World War 2. These rods were originally devised to brace up and support the massive weight of the fort’s detached outer wall face, a defensive element of the fort’s construction which later proved over time to be a structural flaw. Previously a third remaining bastion on the northern side of the fort suffered a similar collapse and was completely destroyed in 1980, mostly falling into the moat. Thanks in part to a National Register of Historic Places listing in 1977, the fort is often confused with &#8220Fort Blunder,&#8221 for which construction began in 1816. Thanks to a surveyor error, it was discovered that this first fort had been accidentally built on the Canadian side of the border and the site was abandoned. Materials from the fort were taken by locals for local building projects. It was never officially named.